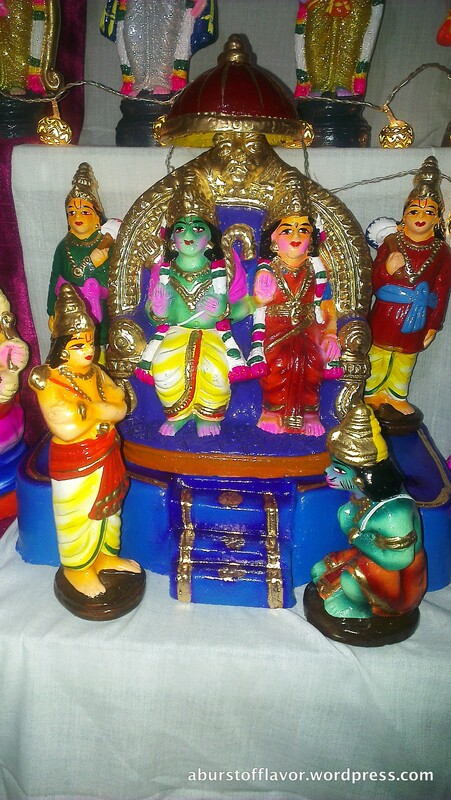 I’ve been busy lately with the Navarathri or Dusshera festival. 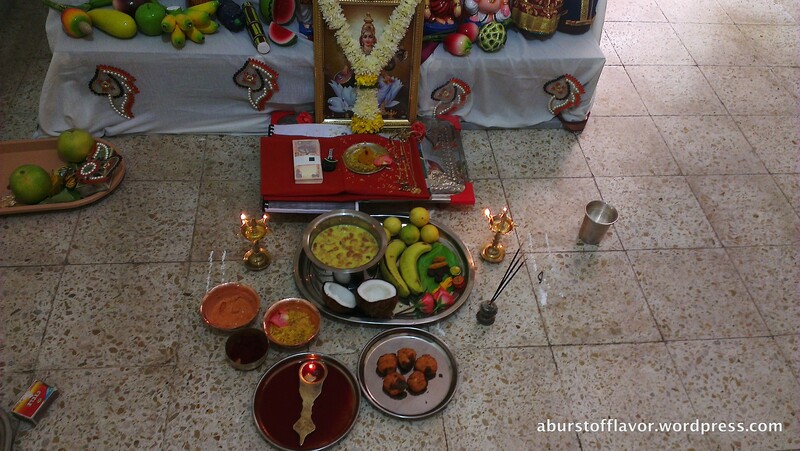 This is a 9-day festival dedicated to the Hindu Goddesses Durga, Lakshmi and Saraswathi. The tenth day is called ‘Vijayadashami’ – ‘Vijaya’ meaning victory in Sanskrit and ‘Dashami’ denoting tenth day. 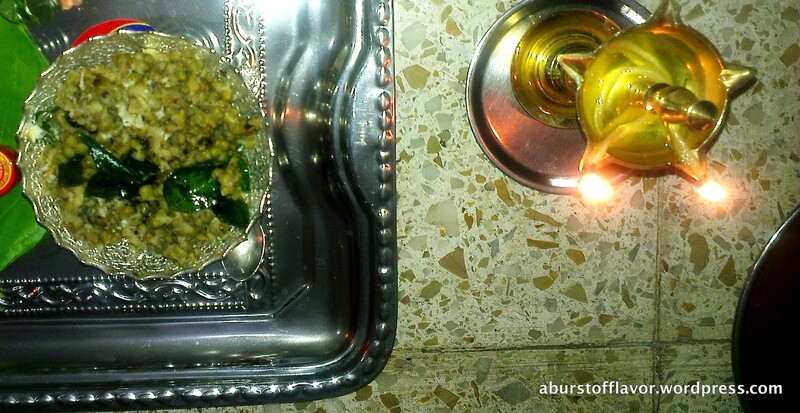 The festival connotes different legends in different parts of India, but what is common is that there are offerings to the Goddess cooked fresh each day, called ‘Prashad’ in Hindi or ‘Naivedhyam’ in Tamil. 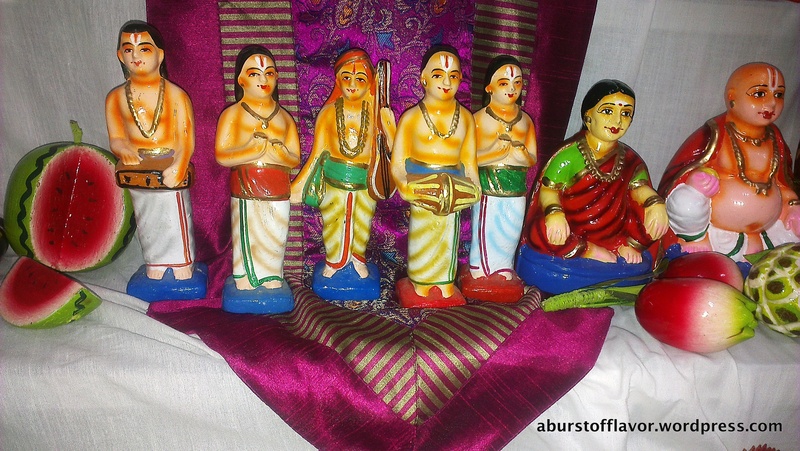 After the pooja is done, this is distributed to guests who visit. 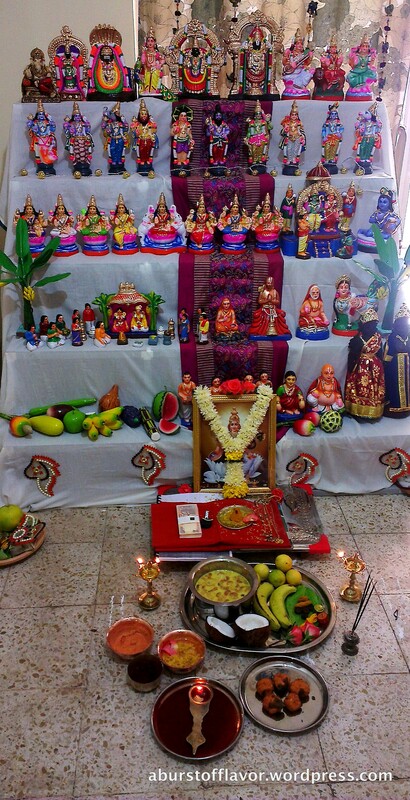 In our home, we celebrate Navarathri in a grand way. 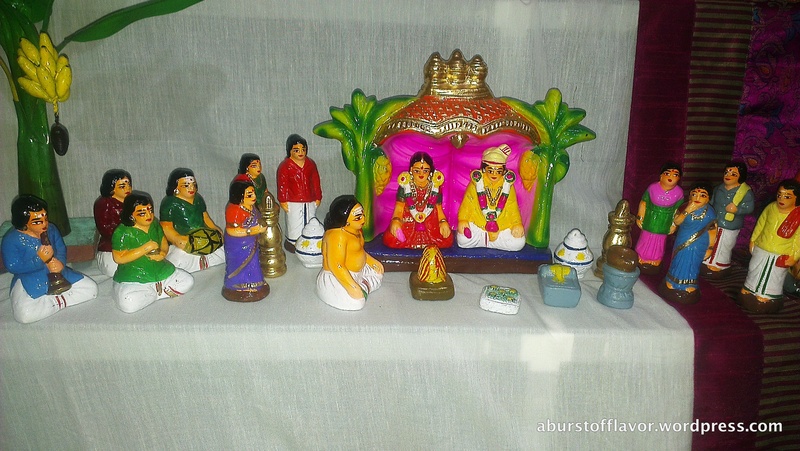 We arrange dolls (both of the religious and non-religious kind) on custom-made steps. Women use this as a chance to express their creativity and skills. We have a lot of guests during this period, making it a good time to visit other homes, look at their doll decorations, sing songs, eat prashad, and basically use it as a good excuse to socialize with everyone and have a good time. Sundals can be either sweet or savory. They are mostly savory, and there is one standard recipe we use in our house for all savory sundals with only the cooking time varying depending on each legume. Sundals are a breeze to make, with the only extra prep being to remember to soak the legumes before hand in water. The actual cooking time takes only about 15 mins. Read on for the recipe! 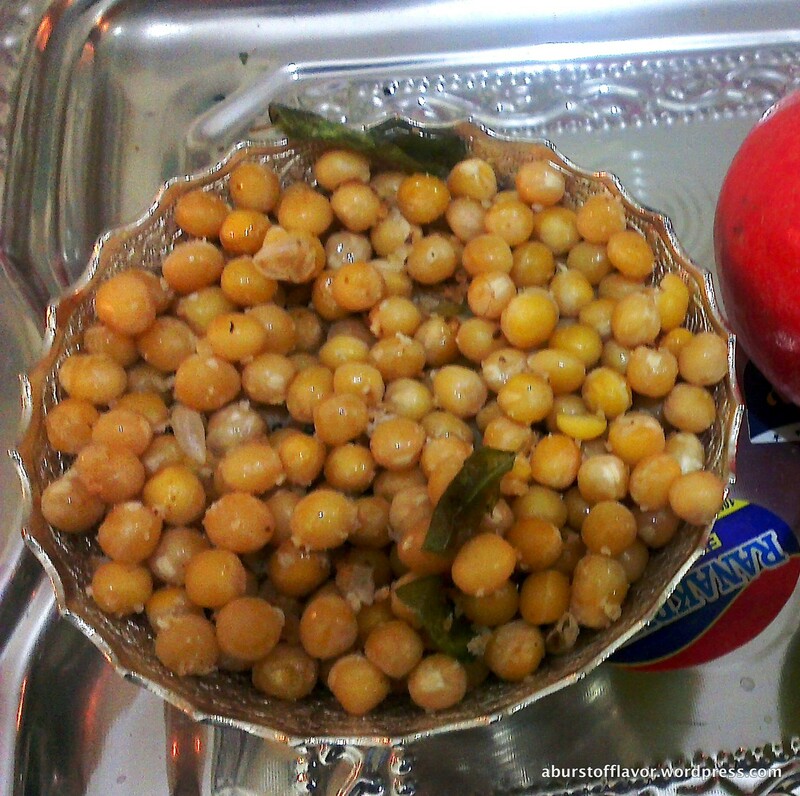 Wash the legumes well to remove any dirt or sediments. Soak them in water for at least 8 hours. You can do this overnight the previous day, or you can put it to soak in the morning up until the evening that the sundal is to be made. Drain the water. Give it a quick rinse under tap water. 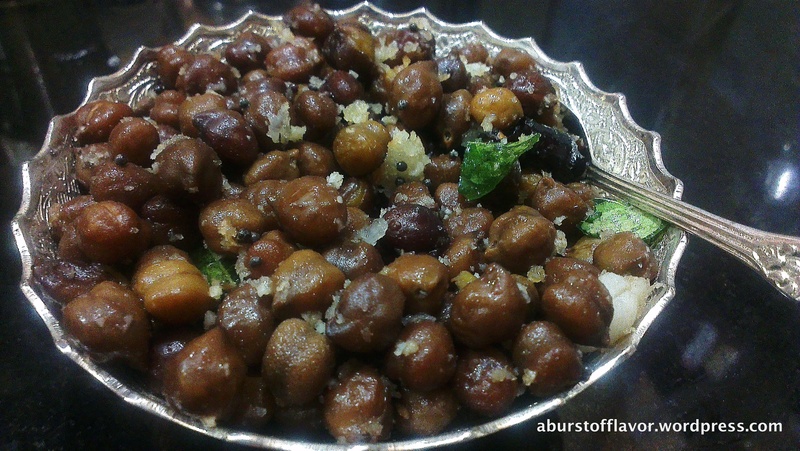 Cook the legumes in a pressure cooker for one or two whistles – until they are tender but firm and retain their shape. If you cook it for too long, they will turn to mush while mixing and you will have a gooey mess. You can reserve the extra water in which the legumes are cooked for use in any curries/soups/stews as stock, since this is very nutritious. In a wide bottomed pan, heat the oil on a medium flame. When hot enough, add the black mustard seeds, they must splutter. Add the fresh curry leaves and fry until crisp. Add the chopped green chillies (or whole red) and fry for a few seconds. Add the asafoetida powder. 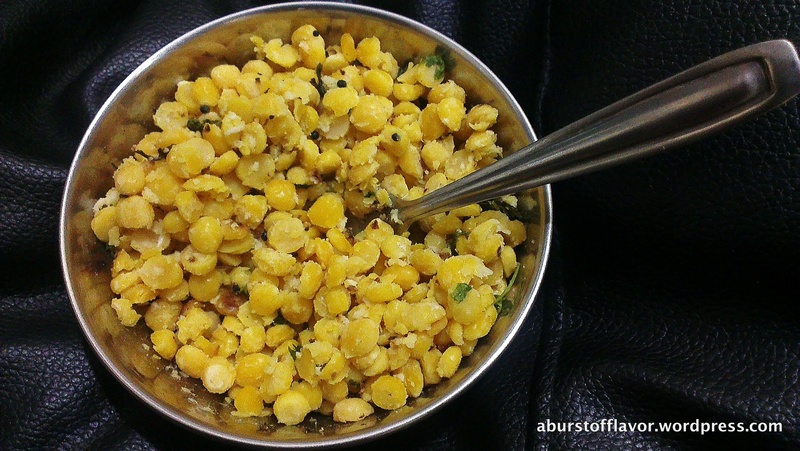 Immediately add the cooked legumes, salt, grated coconut and mix well until everything is incorporated. Check and adjust for salt if required. Serve while warm. It also can be served cold depending on your taste. Keeps well in the refrigerator for upto 3 days.